Special Delivery 2012 from Mapache Films on Vimeo. On Saturday night, September 8, 2012, I and thousands of others witnessed the concrete and steel ruin that is Carbon Warehouse in the old Flint Ink building at 1350 Fourth Street, Berkeley return to technicolor life as a free, underground art gallery. For hours, we gawked at the fabulous graffiti that covered close to every inch of the building, with music, beer and wine, and an electric atmosphere that should make world art hubs like London, Berlin and Venice blush. The floor, the walls, the ceiling and sundry nooks and crannies were painted with explosive colors, designs and styles. Many works displayed wit, wildness and undeniable artistry. We gazed upwards to espy the livid ceiling of this crazy, cement Sistine, then we gazed down to follow the lushly sprays of color at our feet. Meanwhile, the building and its inhabitants trembled as the freight trains–many adorned by the same art sheltered now inside the building–roared by below. This once-abandoned trilevel factory seemed happy to be hosting thousands of equally colorful guests busy drinking in the art in 3D, dancing, flirting, posing, snap-shooting and juggling, all self-regulated, well-behaved and paying close attention to what they saw. From where I stand, the project as a whole suggests a rare mindfulness and was executed expertly and with foresight. The City of Berkeley and the police seems to have played a welcome role in facilitating this art event by keeping a very low profile and just letting folks do their stuff. Neither was this an LA-style, Eli Broadish splash for the rich and pretentious, or some rarified and ultimately impotent extravaganza. This was a grassroots, super-collaborative public tryst between artists and their audience, a rare bird in a cynical, corporate art world that should be nurtured. 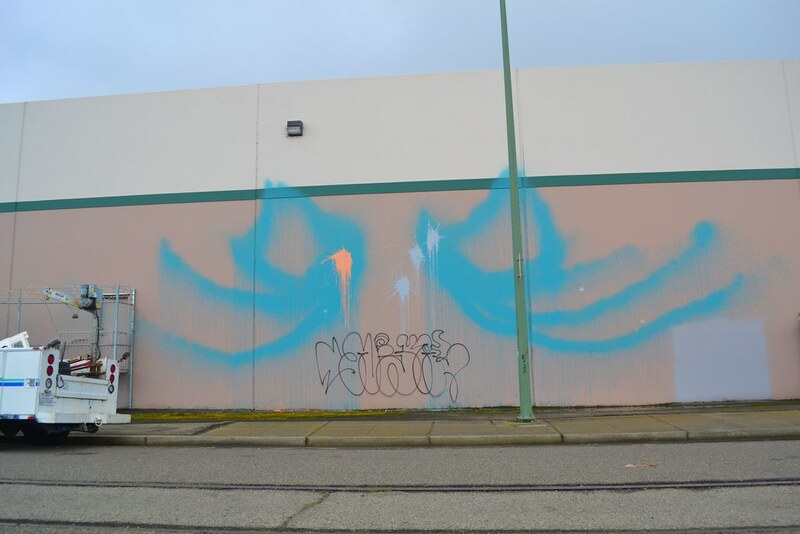 Sadly, after the event, a tiny handful of uninspired, vandalous fools are reported to have tagged a few buildings in West Berkeley, leaving an unfortunate hair in the mouth of a community that had so enjoyed an otherwise delicious art feast. Yet, none were among the artists that awed us that night. And none have the right to distract us from thanking everyone that helped artwork blossom before our eyes in this enjoyable, provocative way. Because, on that night, Berkeley appeared talented, fearless and exciting, and in a humble, inclusive way, a bastion of public art. 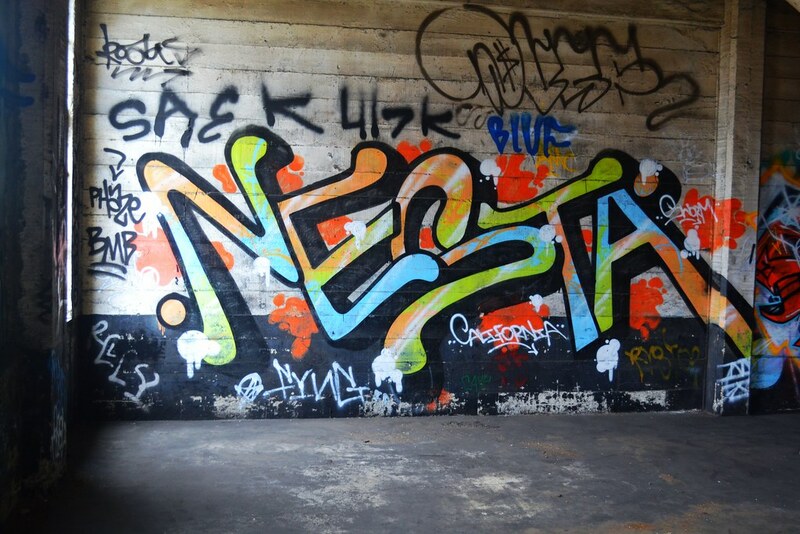 NESTA is participating in this years SPECIAL DELIVERY Bay Area 2012 – Large Scale Mural Exhibit that opens September 8th. The Truck Show – San Francisco, CA from Endless Canvas on Vimeo. The modern box-style delivery truck lives in the inner cities all across America. 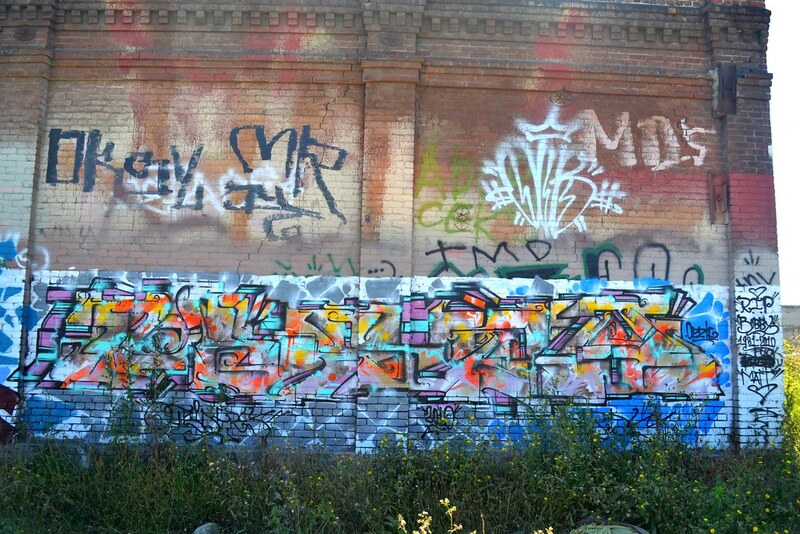 For the modern day graffiti writer it is a contemporary relative to the subway cars of the 70’s and 80’s which helped spark the explosion of graffiti. In a state of eminent relocation, they assemble a disjointed gallery of ceaseless unrest, a perfect canvas for any opportunistic writer. Pristine new clean white box trucks not only invite as they call it “the application of a medium” to their surface, but beg for it. In the streets delivery trucks fit best after being worn and weathered as a pair of old shoes with scuff marks and layers of historical remnants. 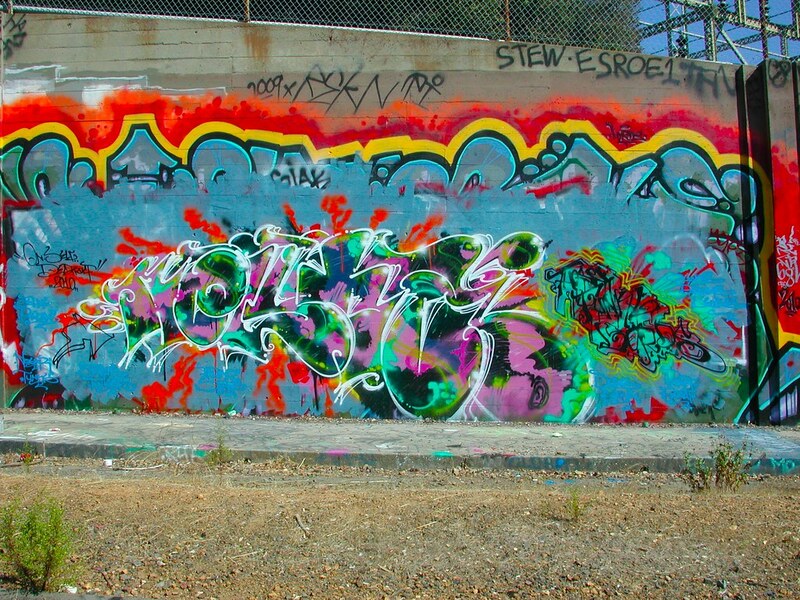 In an attempt to keep their property looking new, many truck owners will opt to give a graffiti writer permission to assume control over these plots of valuable real estate in the urban landscape. The Truck Show SF is an homage to this modern Icon of Graffiti, displaying these moving masterpieces to the public through the filter of 1AM Gallery in San Francisco (opening Saturday, February 10th). forward to seeing the passion for graffiti go full circle to help teach and empower as all too often graffiti is deemed to be something that only takes from society. In these times of ultimate corporate greed and complete abandonment of government support for the arts, the organizers of The Truck Show SF hope to show that the graffiti writer does it for the love and that alone is powerful enough to help fuel and positively influence the next generation. With a wide price range of pieces everyone interested will be able to support the cause and take home a piece of graffiti history.